LOCATION: Winter Harbour, Vancouver Island. Northwest corner of Vancouver Island, south of Cape Scott, north of Brooks Peninsula, at the mouth of Quatsino Sound. Take the gravel road from Port Hardy, through Holberg. Born in Port Alice on June 15, 1947, Patrick Albert Moore was raised in the land of the Kwakwaka’wakw (Kwakiutl) and grew up within a logging family on Quatsino Indian Reserve Number One at Winter Harbour, Vancouver Island, which they knew as Klayina. Moore became a founding member of Greenpeace in 1971 while writing his dissertation on the ecology of copper mining in B.C. He served as one of its leaders for 15 years, serving as president from 1977 to 1979. 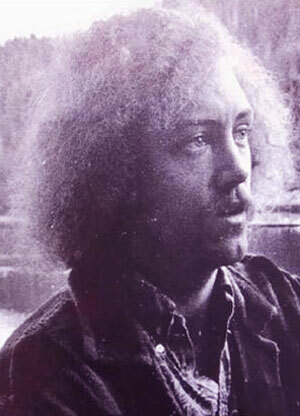 He sailed aboard the first Greenpeace vessel to protest the Amchitka explosion of 1971. He subsequently wrote two books to express his alienation from the Greenpeace movement, alleging the organization did not take a sufficiently science-oriented approach to the environment. 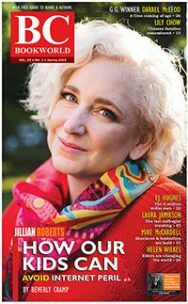 “I was born and raised in the tiny floating village of Winter Harbour on the northwest tip of Vancouver Island, in the rainforest by the Pacific. There was no road to my village so for eight years myself and a few other children were taken by boat each day to a one-room schoolhouse in the nearby fishing village. I didn’t realize how lucky I was playing on the tide flats by the salmon-spawning streams in the rainforest, until I was sent off to boarding school in Vancouver where I excelled in science. I did my undergraduate studies at the University of British Columbia, gravitating to the life sciences – biology, biochemistry, genetics, and forestry – the environment and the industry my family has been in for more than 100 years. Then, before the word was known to the general public, I discovered the science of ecology, the science of how all living things are inter-related, and how we are related to them. “At the height of the Cold War, the Vietnam War, the threat of all-out nuclear war and the newly emerging consciousness of the environment I was transformed into a radical environmental activist. While doing my PhD in ecology in 1971 I joined a group of activists who had begun to meet in the basement of the Unitarian Church, to plan a protest voyage against US hydrogen bomb testing in Alaska. “We proved that a somewhat rag-tag looking group of activists could sail an old fishing boat across the north Pacific ocean and help change the course of history. We created a focal point for the media to report on public opposition to the tests. “When that H-bomb exploded in November 1971, it was the last hydrogen bomb the United States ever detonated. Even though there were four more tests planned in the series, President Nixon canceled them due to the public opposition we had helped to create. That was the birth of Greenpeace. “Flushed with victory, on our way home from Alaska we were made brothers of the Namgis Nation in their Big House at Alert Bay near my northern Vancouver Island home. For Greenpeace this began the tradition of the Warriors of the Rainbow, after a Cree Indian legend that predicted the coming together of all races and creeds to save the Earth from destruction. We named our ship the Rainbow Warrior and I spent the next fifteen years in the top committee of Greenpeace, on the front lines of the environmental movement as we evolved from that church basement into the world’s largest environmental activist organization. “Next we took on French atmospheric nuclear testing in the South Pacific. They proved a bit more difficult than the US nuclear tests. It took years to eventually drive these tests underground at Mururoa Atoll in French Polynesia. In 1985, under direct orders from President Mitterrand, French commandos bombed and sank the Rainbow Warrior in Auckland Harbour, killing our photographer. Those protests continued until long after I left Greenpeace. It wasn’t until the mid-1990s that nuclear testing finally ended in the South Pacific, and it most other parts of the world as well. “Going back to 1975, Greenpeace set out to save the whales from extinction at the hands of huge factory whaling fleets. We confronted the Soviet factory whaling fleet in the North Pacific, putting ourselves in front of their harpoons in our little rubber boats to protect the fleeing whales. This was broadcast on television news around the world, bringing the Save the Whales movement into everyone’s living rooms for the first time. After four years of voyages, in 1979 factory whaling was finally banned in the North Pacific, and by 1981 in all the world’s oceans. “In 1978 I sat on a baby seal off the East Coast of Canada to protect it from the hunter’s club. I was arrested and hauled off to jail, the seal was clubbed and skinned, but a photo of me being arrested while sitting on the baby seal appeared in more than 3000 newspapers around the world the next morning. We won the hearts and minds of millions of people who saw the baby seal slaughter as outdated, cruel, and unnecessary. “Why then did I leave Greenpeace after 15 years in the leadership? When Greenpeace began we had a strong humanitarian orientation, to save civilization from destruction by all-out nuclear war. Over the years the “peace” in Greenpeace was gradually lost and my organization, along with much of the environmental movement, drifted into a belief that humans are the enemies of the earth. I believe in a humanitarian environmentalism because we are part of nature, not separate from it. The first principle of ecology is that we are all part of the same ecosystem, as Barbara Ward put it, “One human family on spaceship Earth”, and to preach otherwise teaches that the world would be better off without us. As we shall see later in the presentation there is very good reason to see humans as essential to the survival of life on this planet. 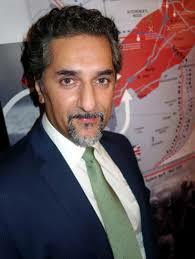 “In the mid 1980s I found myself the only director of Greenpeace International with a formal education in science. My fellow directors proposed a campaign to “ban chlorine worldwide”, naming it “The Devil’s Element”. I pointed out that chlorine is one of the elements in the Periodic Table, one of the building blocks of the Universe and the 11th most common element in the Earth’s crust. I argued the fact that chlorine is the most important element for public health and medicine. Adding chlorine to drinking water was the biggest advance in the history of public health and the majority of our synthetic medicines are based on chlorine chemistry. This fell on deaf ears, and for me this was the final straw. I had to leave. 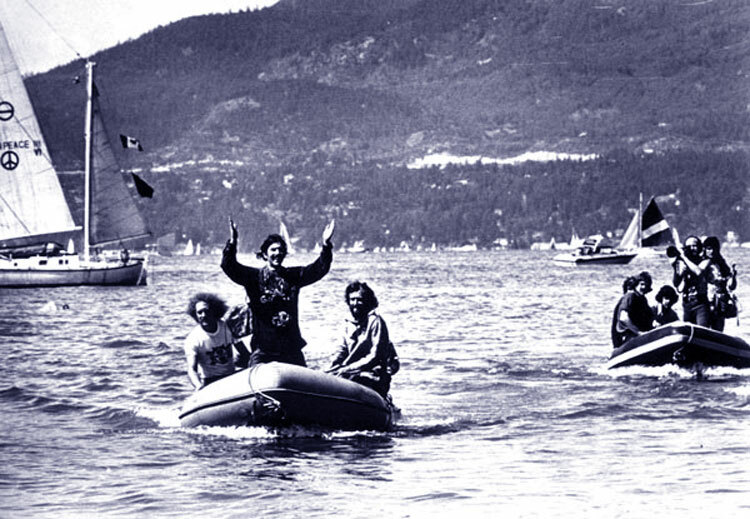 As a member of the first Greenpeace voyage to protest US hydrogen bomb testing in Alaska, Moore was made an honorary member of the Kwakwaka’wakw Nation in the long-house at Numglis (Alert Bay) in 1971. The intrepid protestors were given the right to use the hereditary crest of the double-headed sea-monster, Sisiutl, to strengthen their campaigns to save the Earth. “The famous artist Richard Hunt gave us his depiction of Sisiutl which we used in our literature and on our ship, the Rainbow Warrior,” he has recalled. In 1998, Moore received a ceremonial eagle feather from Chief Stan Dixon of the Sechelt Nation for his work to promote sustainability and consensus. 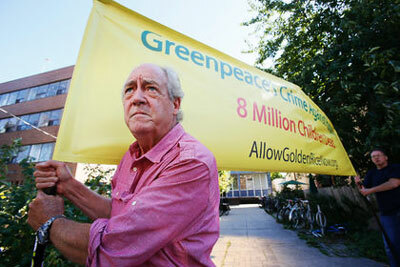 Patrick Moore protesting in favour of genetically modified rice outside the Toronto Greenpeace office in 2013. Moore and his wife Eileen remained directly involved in Greenpeace for many years, producing fundraising materials and sailing on a voyage to protect whales. 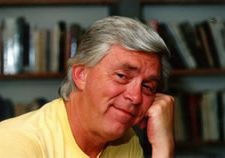 But having earned his Ph.D. in resource ecology in 1972 from UBC, Moore found himself at odds with some of his Greenpeace colleagues, particularly eco-activist Paul Watson. Just as Watson splintered from Greenpeace in 1977 because he found it was too conservative, Moore left Greenpeace in 1986, finding it insufficiently scientific and overly confrontative. Viewed by some in the environmental movement as a traitor, he opted to return to Winter Harbour and start a salmon farm. He was also seen by some as a defender of the forest industry when he became active in the Forest Alliance of B.C. Moore was a founding member of the provincial government’s Roundtable on Environment and the Economy and served on the B.C. Aquaculture Industry Advisory Council. When Patrick Moore was Chair of the Forest Practices Committee of the Forest Alliance of B.C., he released Pacific Spirit: The Forest Reborn (West Vancouver: Terra Bella, 1995). 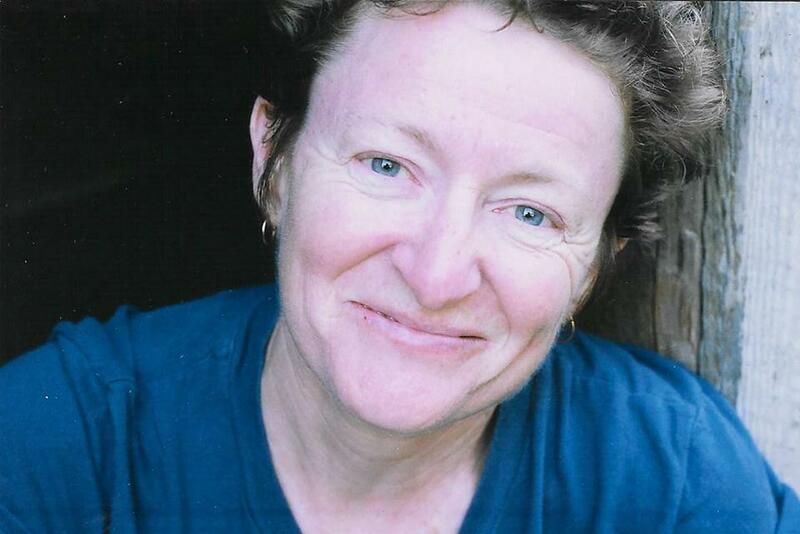 It was followed by a self-published memoir, Confessions of a Greenpeace Dropout: The Making of a Sensible Environmentalist (Beatty Street Publishing 2010). Patrick Moore later became a partner in a consulting firm called Green Spirit, based in Vancouver, while maintaining a home in Winter Harbour. IN 1966, A YALE-EDUCATED LAWYER AND Quaker named Irving Stowe arrived in Vancouver and began voicing his anti-war sentiments in the Georgia Straight newspaper. Dismayed when the Sierra Club showed a lack of concern about nuclear testing, Stowe and UBC ecology student Patrick Mopre travelled to Alaska and attended public hearings about a forthcoming nuclear blast on an island called Amchitka. Following the formation of the Don’t Make A Wave Committee in 1970, a Vancouver social worker named Bill Darnell coined a catchier name for the new activist group during a meeting at the Unitarian church on 49th Avenue and Oak. The rest is Greenpeace. The Greenpeace Story (Prentice-Hall $19.95) by Michael Brown and John May is the most comprehensive account yet written about the international network that now boasts a membership of more than three million people. The global movement started with one battered 80-foot halibut boat, the Phyllis Cormack, and a slipshod crew of 12 that included Vancouverites Ben Metcalfe, Bob Keziere, Bob Hunter, the late Bob Cummings, Vancouver-born Captain John Cormack, co-founder Jim Bohlen, Darnell and Dr. Patrick Moore. They set sail for Alaska on September 15, 1971 to bear witness, in the Quaker tradition, to the Americans’ proposed underground blast at Amchitka. Younger Greenpeacers became inspired by a small press book, Warriors of the Rainbow (Naturegraph Publishers, 1962), a collection of Indian myths once given to journalist Bob Hunter by a wandering dulcimer-maker. The extensively illustrated Greenpeace book chronicles protest voyages to Amchitka and Moruroa (Polynesia), Save-the-whale campaigns, anti-sealing efforts, farsighted anti oil tanker manoeuvres, French government sabotage of the Rainbow Warrior, support from the likes of Brigitte Bardot and Bryan Adams, and a myriad of other demonstrations around the world on behalf of the earth’s environment. VANCOUVER, BC—Dr. 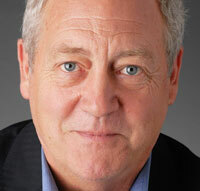 Patrick Moore, founding member of Greenpeace, will discuss why he left the environmental group and how its extremist agenda is at odds with sensible, science-based environmentalism during a sold-out Fraser Institute luncheon and book-signing on Friday, February 18 at SFU Harbour Centre. In his new book Confessions of a Greenpeace Dropout: The Making of a Sensible Environmentalist, Moore recounts his experiences with Greenpeace and its devolution into radical environmentalism. He left the group after 15 years, finding himself increasingly disagreeing with its growing anti-science, anti-business, and anti-human agenda. Join Moore as he outlines his vision for a sustainable world based on a more sensible, science-oriented approach to environmentalism. His presentation, followed by a book-signing, will cover critical issues ranging from energy independence to climate change, and genetic engineering to aquaculture.